What Happens To ‘Telugu Students’ Who Caught In ‘Pay-To-Stay Scam’ In United States? 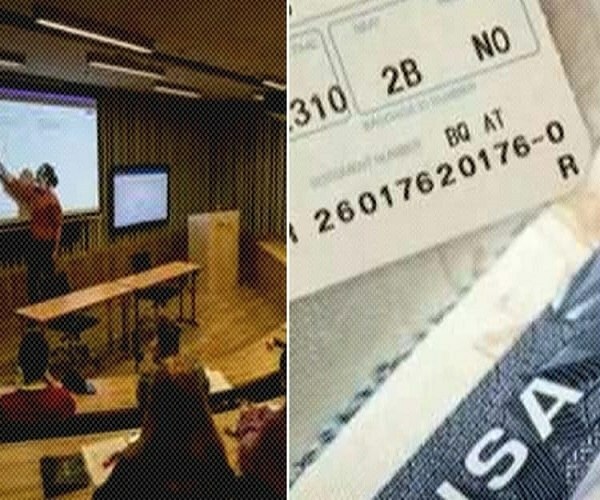 At least 100 Indian students were trapped by the US Department of Homeland Security as part of an undercover operation to lure those who were obtaining work permits to stay back in the country. After several Telugu Associations stepped forward to pitch in and help the students who were detained following the undercover operation by the US Department of Homeland Security officials last week, Chairperson of Telugu Association of North America (TANA Youth wing Yash Bodduluri, spoke to #KhabarLive to explain what steps are now being taken. “When such an incident had occurred in the past, the students were given different options. We are looking into that to understand what we can do and see if any of those options can be made possible now,” he says. Referring to an earlier in incident which allegedly took place in 2016, Yash says that the US government had given students one of two options: they were allowed to return to India or they could re-enroll in a proper college and course in a given frame of time, and thus remain in the country without breaching any rules. However, it is yet to be determined whether the students trapped in the issue now will be given a similar choice. “Over 600 students have been arrested, at least a hundred of which are Indian students. One issue we are faced with is that different cases have been registered against those who attend the school. One might be facing charges of overstaying their student visa, another might have a case of an illegal work permit issued, so there are some things we need to work out before proceeding forward,” adds Yash. Following the incident, several Telugu associations in the United States stepped in to help students who were caught in the issue. In addition to recruiting attorneys and attempting to get local Senators involved, these associations have also sought other forms of help for the students. As Yash tells #KhabarLive, TANA has approached Republican Hindu Coalition Founder, Sharath Kumar to aid in the release of the students. “He (Sharath) is helping us fix and take this issue to the president. His office works closely with the president’s office,” said Yash. ALSO READ: Why Hyderabad Is Reeling Under 'Low Voltage' On 'Solar Rooftops'? Are students really being fitted with tracking devices? According to some media reports, as the ICE continues its investigations into the students who were enrolled in the fake university as part of a ‘pay to stay’ scam, the students have been fitted with tracking devices. Sources at the Indian Embassy in Washington D.C., would not disclose information in this regard to #KhabarLive. ALSO READ: Why The 'TISS Hyderabad' Scrapped BA Course And Why Students Going On Hunger Strike? In an elaborate plan, panning out over three years, officials from the US Homeland Security Department created a fake university solely to trap illegal immigrants and the agents aiding them to extend their stay in the country under the guise of being a student. 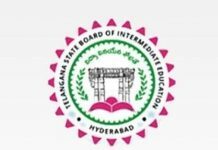 Of eight students arrested for being ‘agents’ (most of whom hailed from Andhra Pradesh or Telangana) around 600 students are being investigated, of which at least 100 are Indian students. Those under the government’s scanner had entered the country legally, but enrolled in the fake university to obtain a work permit in order to be able to continue staying in the country. Why ‘Maoists’ Remain A Potent Threat In Telangana?